USDA Rural Development loans are a great way to finance your first home or your next primary residence with no down payment and 640 credit scores! We provide USDA home loans to the state of Georgia! 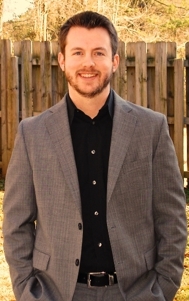 USDA Rural Housing Loans | Justin Messer Supreme Lending: I was born and raised in Peachtree City, Georgia. After graduating from Auburn University I attended XINNIX Mortgage Academy from which I received my XCO designation and Mortgage Originator Certification. Less than 1/2 of 1% have received this prestigous designation. Following XINNIX, I joined Supreme Lending as a Mortgage Originator because it gave me the opportunity to work directly with my passion, real estate. The main thing that I love about my job is that I am able to take my clients financial picture combined with their needs and goals and show them ways to increase their real estate investments in ways that they never knew existed. Supreme Lending home loans offer borrowers numerous ways to finance their dream home. We provide residential mortgages to the state of Georgia. At Supreme Lending Home Loans, we offer mortgages to 1st time home buyers, move up buyers, and investors. Our primary focus includes the USDA Rural Housing Loan, FHA loans, and conventional loans. My direct focus is to provide Home Loans to anyone in Georgia. Our web services use technology to make every transaction quick and easy. We keep you updated during every step of the process with our automated email system. However, we are not simply an online mortgage resource. You can actually call and speak with me anytime or we can meet face to face. We believe in being accountable for all of our actions. When you call us, you get us. We do not have a 20 option automated telephone system. So, if you have questions, you get to speak with me, your Loan Officer! No matter what your situation may be, we will guide you through the process of obtaining a home so that it is fast and easy! USDA Rural Housing Loan | Supreme Lending: My expertise is provided to all 50 U.S. states. We are licensed to originate loans in all of these states. Originating USDA Rural Housing Loans, I work with a wide range of clients. I love working with first time home buyers and those that are purchasing a primary residence. I really love that I get to share the joy in helping a new home owner start off in the right direction. Move-up buyers and the affluent buyer are also a large part of my day to day business. Government programs and 100% financing are becoming a huge part of the finance world. With tougher restrictions on credit, I am able to provide loans that many other mortgage professionals do not know about. If a client has credit that will not allow that person to obtain a loan, then I will always provide one on one credit couseling. If someone cannot purchase the dream today, then I want to help them in the right direction so the dream can become reality in the future! Visit us online to view all of our team and our offices. Visit USDA Rural Housing Loan to view great information on obtaining a USDA 100% mortgage or and all the benefits of this loan product. Free pre-qualifications, loan applications, and much more.